The fake frozen suckers emphasise the importance of clean water. 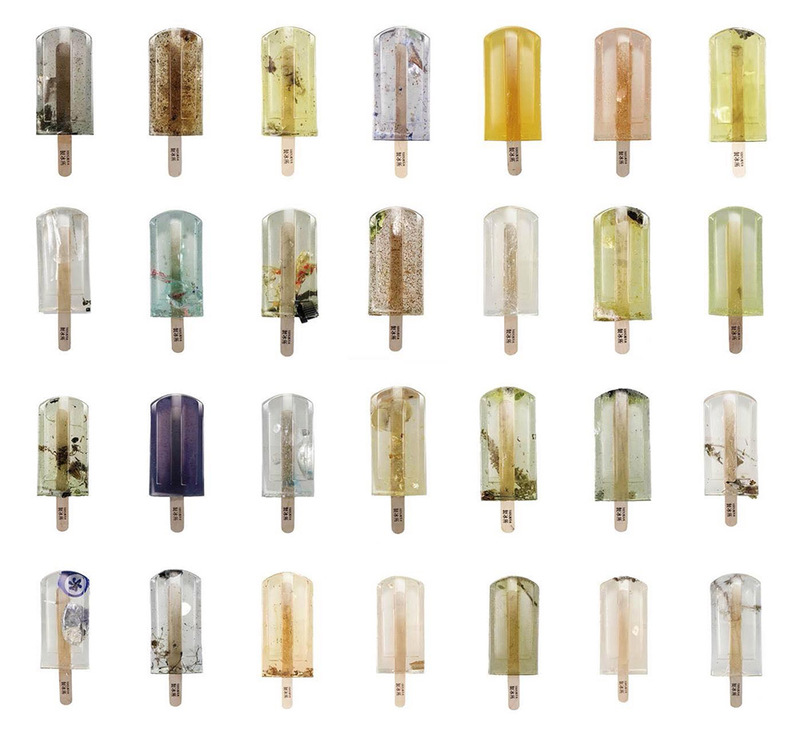 Though they may look delicious and refreshing, consuming one of these unconventional popsicles would, at the very least, make you ill. Made from sewage found in Taiwan’s polluted rivers, these inedible suckers were made to serve as a commentary on the island nation’s rising water pollution and its deep effect on the world’s population. 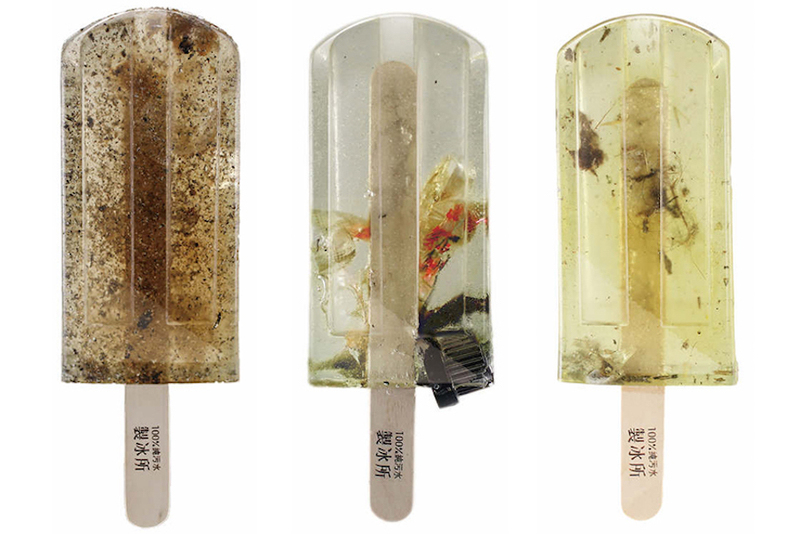 Created by three students – Hung I-chen, Guo Yi-hui and Cheng Yu-ti – from the National Taiwan University of the Arts, these ‘Polluted Water Popsicles’ effectively illustrate a vital environmental issue that can easily go unnoticed. Their work takes this concern and gives it concrete visibility; plastics, metals, and other harmful pollutants are clearly seen when one peers closely at the popsicles. I-chen, Yi-hui and Yu-ti began their project by gathering water samples from 100 different sources in Taiwan – including lakes, rivers, beaches and ports – and freezing the collected sewage samples individually. They then utilised a polyester resin in order to preserve each of them and designed corresponding wrappers and ‘flavours’ for each toxic treat. 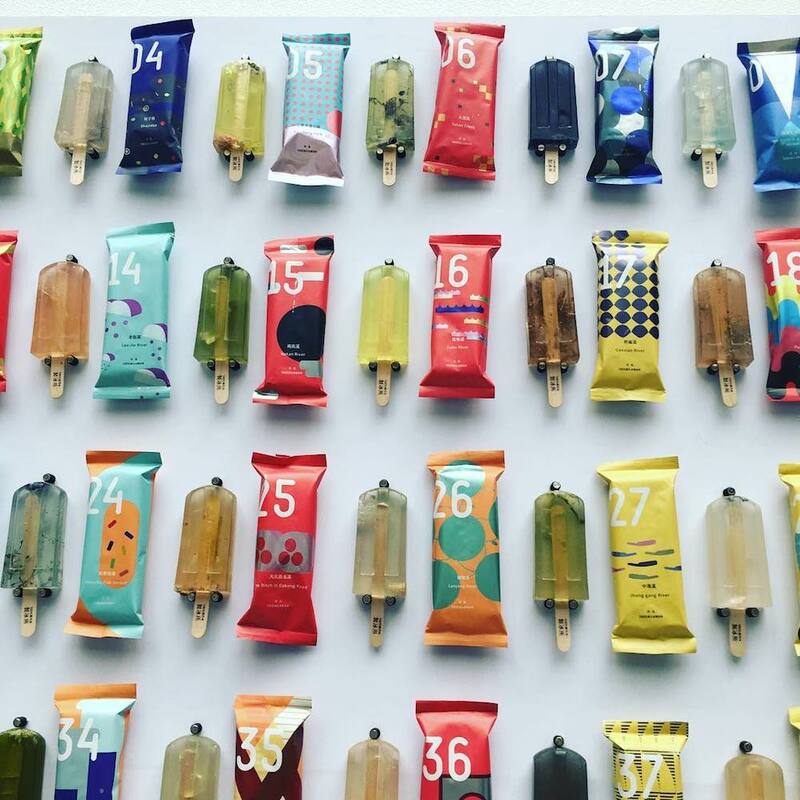 By imitating the aesthetic of recent artisanal food trends, the Polluted Water Popsicles serve to highlight how beauty doesn’t always correspond with optimum human or environmental health. Creating this visible link between pollution and consumption has proved highly effective; since first appearing online the story of these odd ice-lollies has gone viral across the globe. 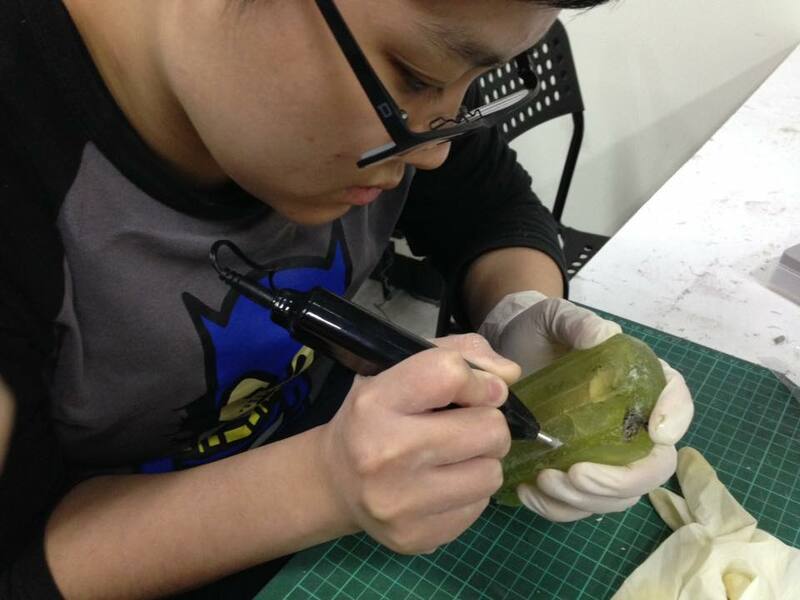 The eccentric art project scored a spot in the New Generation of Design Exhibition this past May at the Taipei World Trade Center, and the team behind it were ultimately nominated for the Young Pin Design Award for their creative communication of water pollution issues. Check out the video below to see some of the strangely beautiful suckers. To learn more about the project, you can follow the Polluted Water Popsicles project on Facebook.